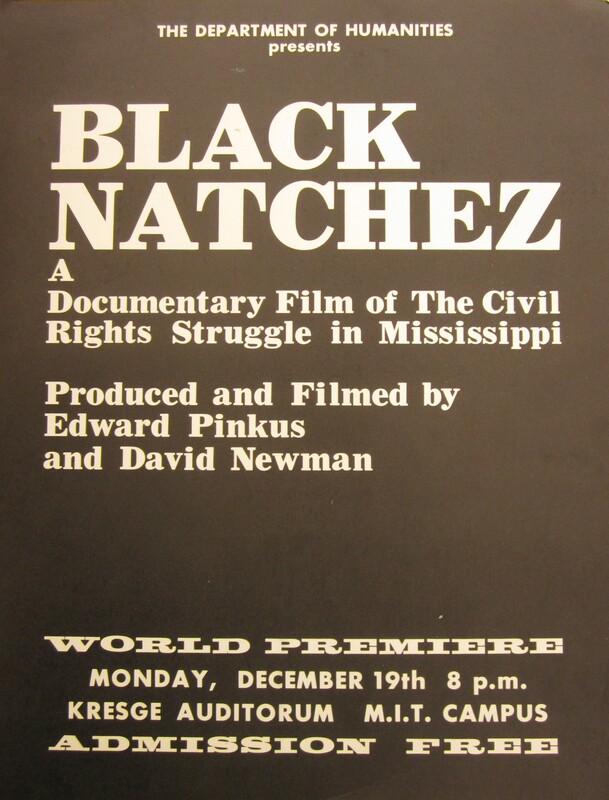 For our August selection, the world premiere screening poster for Ed Pincus and David Newman’s powerful documentary, Black Natchez. The Ed Pincus Collection finding aid has information for HFA materials on this and other projects. This entry was posted in Ed Pincus Collection, poster on August 4, 2015 by conservator3.